We love books. If there’s one thing I’m never sorry about buying, it’s books. For myself, for my family, and especially for Ian. We bought books for Ian before he was even born, and we got a good number of books as baby shower presents (score!). Ians’ first Christmas, at age 2 months? There were books under the tree. Ian’s first Easter? 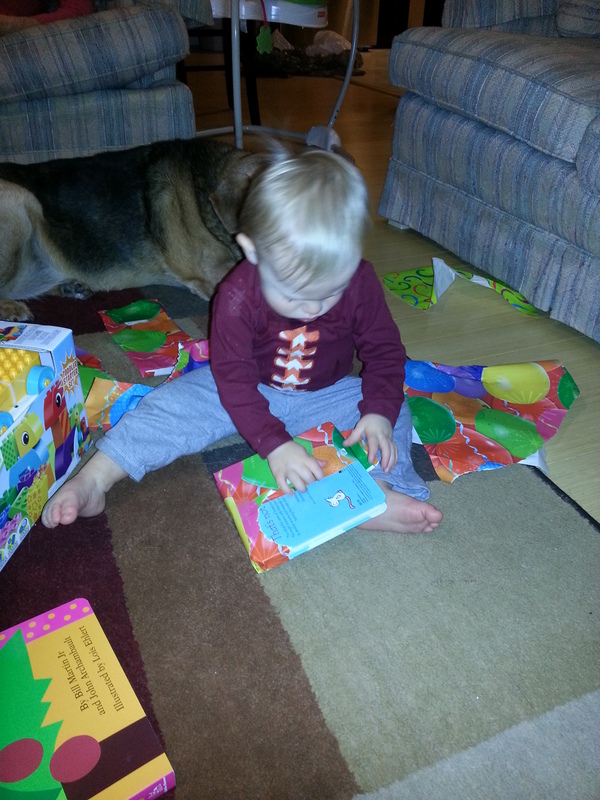 There were books in his Easter Basket. Books are seriously the BEST gift ever. They are such a great (and fairly cheap) method of entertainment. 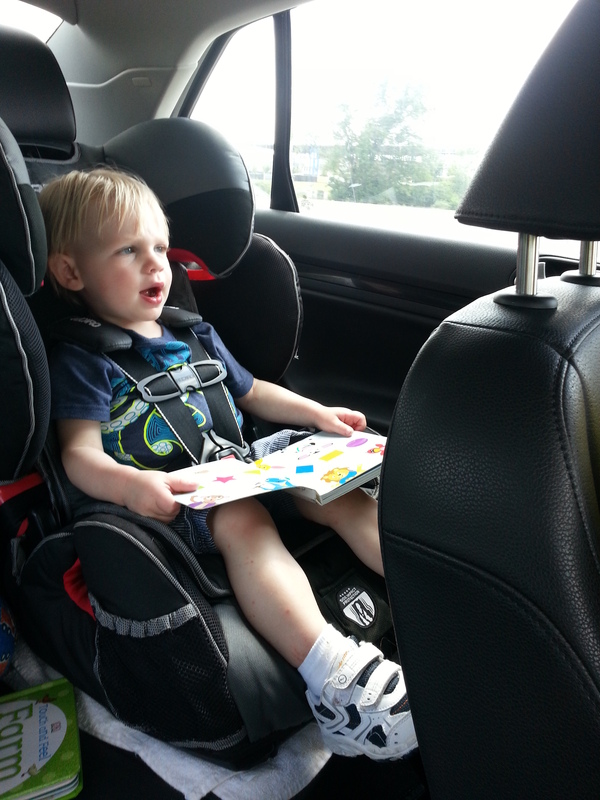 In fact, now, at nearly 20 months old, when we’re riding in the car, we can give Ian a book to “read” and he will flip through the pages and babble to himself and be thoroughly OK for a span of time that sometimes exceeds 20 or more minutes. What a deal! 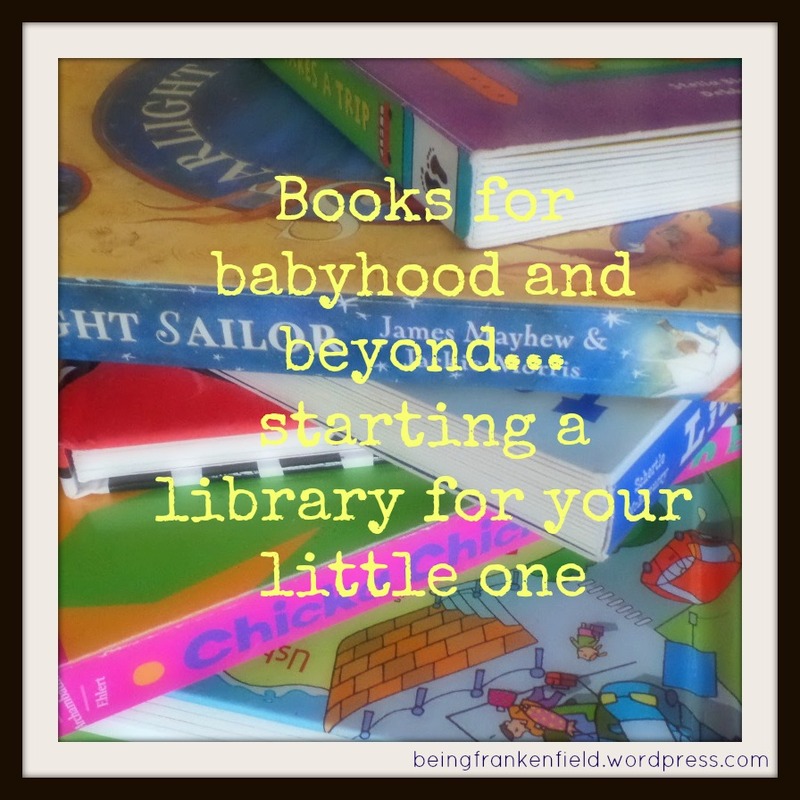 So, for anyone looking to start a “library” or book collection for your little reader (or future reader), here are some of Ian’s favorites, from babyhood to today! 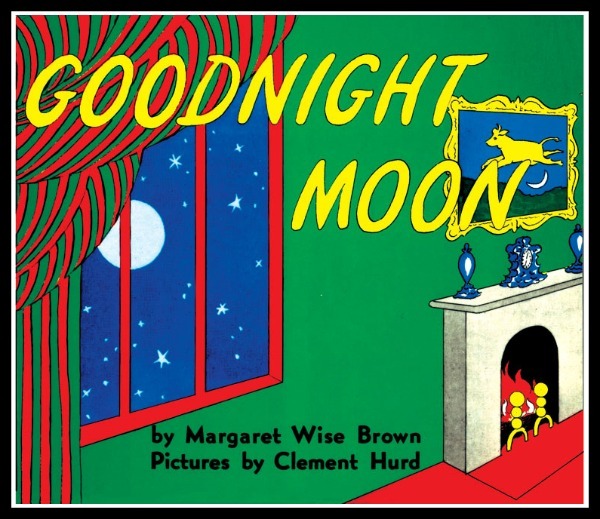 Ian’s all time favorite babyhood book… we used to read this DAILY, even multiple times a day. I’m not sure why he found it so appealing (maybe the babies in costume?) but he loved it. 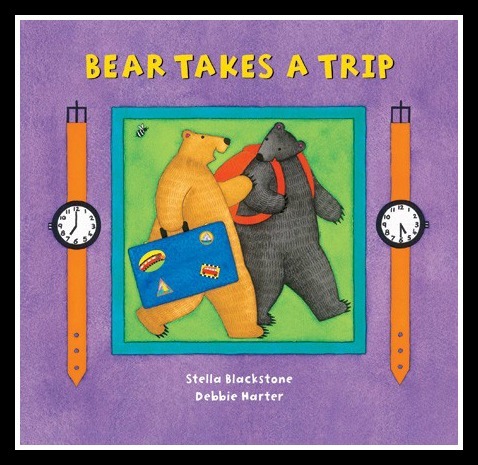 And it’s a pretty simple book that lends itself to a lot of reader/baby interaction. 2. 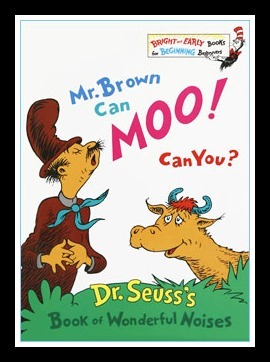 Mr Brown Can Moo! Can You? Ian also absolutely LOVED this book. We actually still read it now quite frequently. 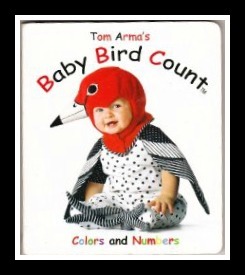 I attribute his ability to do animal sounds reasonably well at a fairly young age to the number of hours we’ve spent flipping through this book. This was a book I really debated about buying, but O.M.G. he about lost his mind when he first saw it. Definitely a good purchase. 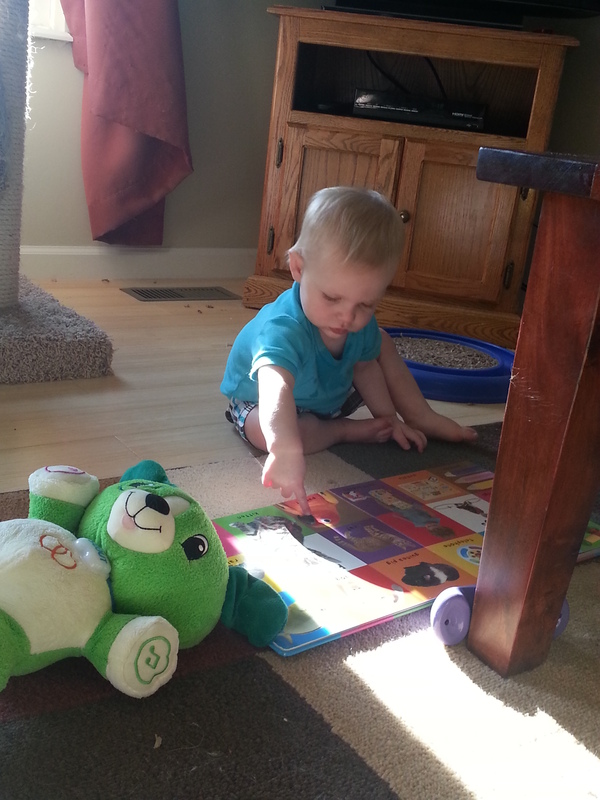 He loves to flip through all the really brightly colored pages and point out the different objects on the pages. I used to point out the various items on the pages for him, and then we progressed to a type of scavenger hunt (“Ian, where’s the ball? ?”), and now we still read it with Ian naming the objects (“Ian, what’s this?”). It’s pretty fun, actually… and a neat way to see what he really knows. 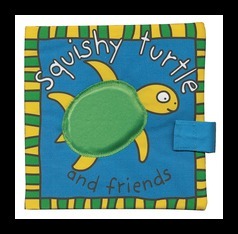 This book is adorable, drool proof (it’s cloth), interactive, and colorful. Ian also happened to really enjoy this book. 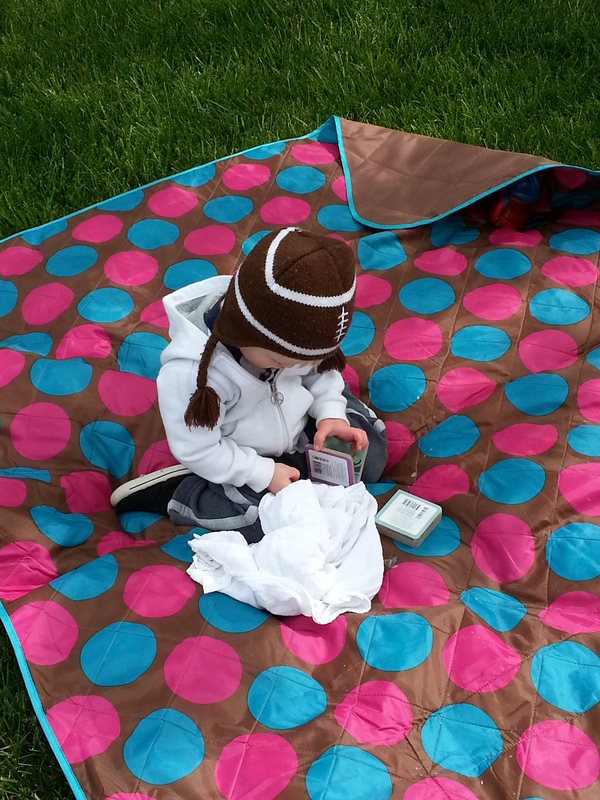 We took it EVERYWHERE…it was a diaper bag staple. 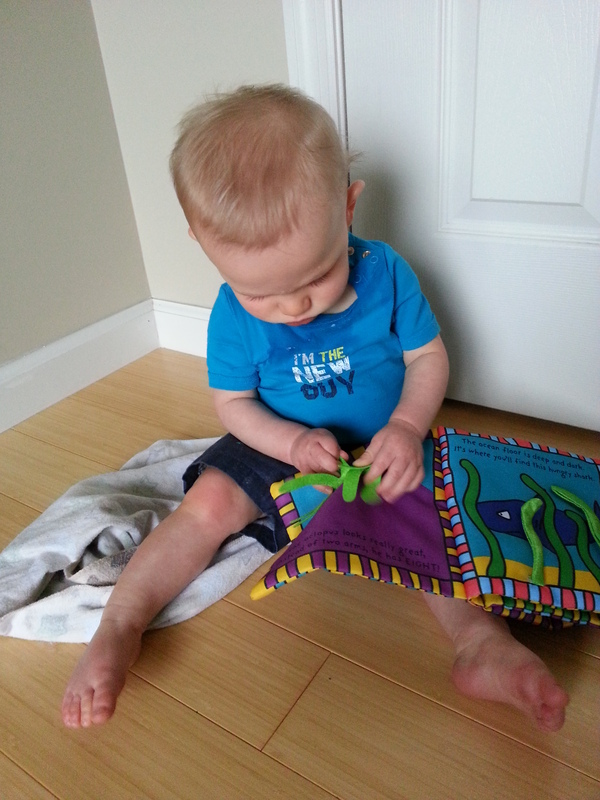 He still likes to crinkle it and flip through the pages every now and then, so while it doesn’t get heavy use these days, it still gets time in the regular book rotation. 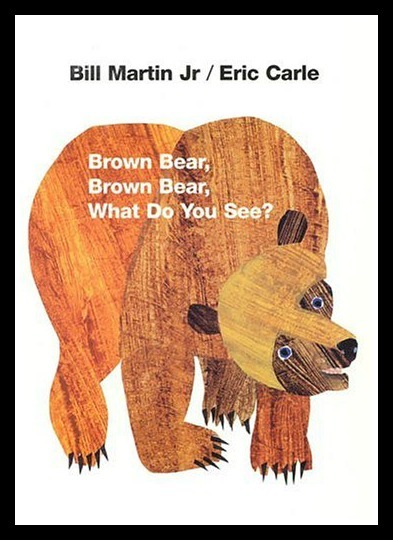 I think everyone knows this book, and most of us probably had it in our homes growing up. We got this for Ian when he was about 6 months old, but he didn’t show much interest in it until recently. Now I feel like we read it every night (I think I have it memorized). We got this in our second Citrus Lane box (you can read about Citrus Lane and my thoughts here), and it has been a hit ever since Ian laid eyes on it. 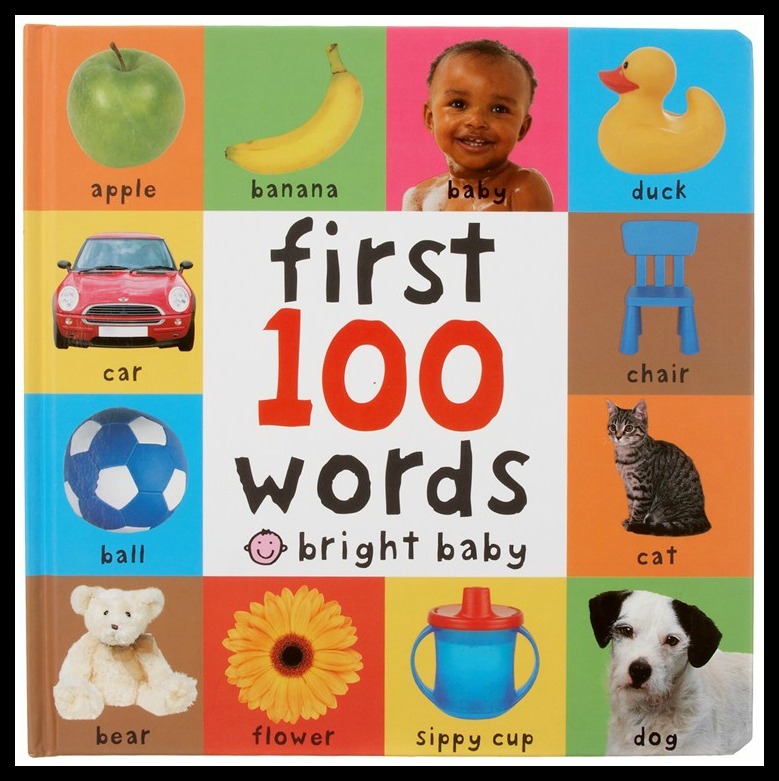 I probably could have included this in the babyhood list (because it got regular reading time then, too), but he still loves to read it and it comes with us almost everywhere these days. I’m sure everyone is familiar with Eric Carle’s other famous children’s book, “The Very Hungry Caterpillar”. We have that book, but Ian just isn’t really interested in it. Hopefully that will change over time; we’ll see. I was afraid he would feel ambivalent towards this book, too. Boy was I wrong! 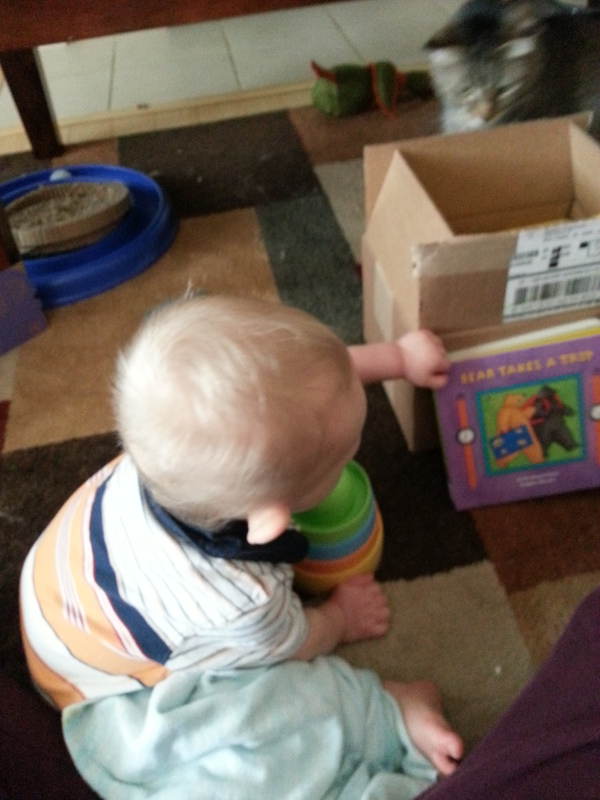 He loves the colorful animals and really enjoys flipping back and forth through the pages. This one also gets heavy use in our house! I bought this book at a book fair, thinking it was a cute little touch and feel book. 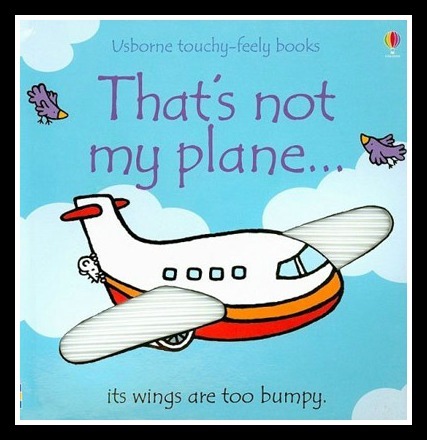 And since my husband is an aerospace engineer, it felt appropriate that our son should have a book that contained airplanes. This isn’t my favorite book (the pictures are nice enough but some of the plane attributes are a little weird— “…its wheels are too squashy”— not sure what that means…), but Ian really likes it. So I guess that’s what really matters. Do you have any of these books? What books do your little ones love? I’d love to hear all about them, as I’m always looking for new adds to our library!! 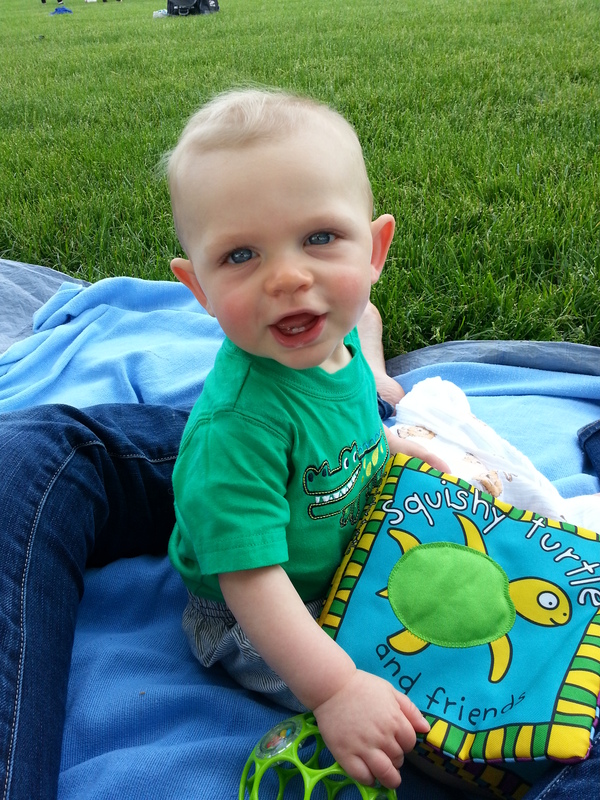 Pingback: Buy Barefoot Books with Me! | .being frankenfeld.